Many companies base their success on highly competitive novel process technologies developed by Neste Engineering Solutions. As undisputable proof of our abilities we have references of numerous leading commercial process technologies working worldwide. 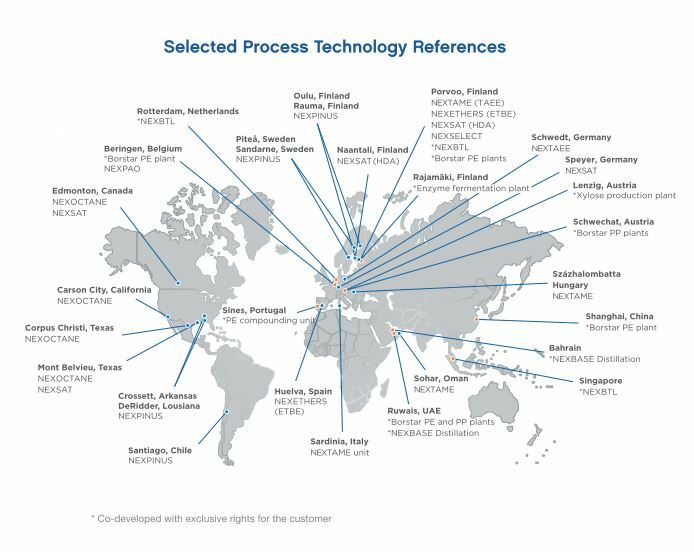 See below our global map of selected process technology references.